Benefit auctioneer Virginia graduates from "Auctioneers MBA"
Last month I completed a program I started three years ago. I finished my third and final year of CAI, which stands for the Certified Auctioneer Institute. Though there are some formalities that need to be completed before I’m officially able to use the “CAI” initials, I’m done. 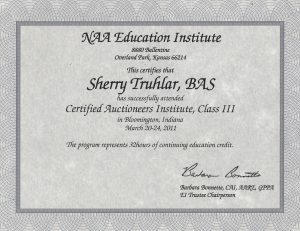 The program takes place at Indiana University in Bloomington, IN and its overseen by the National Auctioneers Foundation. It’s held in March, which – as a benefit auctioneer – is the worst possible time. March is a heavy season for benefit auctions. CAI is a more intensive training, “focused on fostering specific skills needed to operate a successful auction firm.” Among auctioneers, it’s sometimes referred to as the Auctioneer’s MBA. 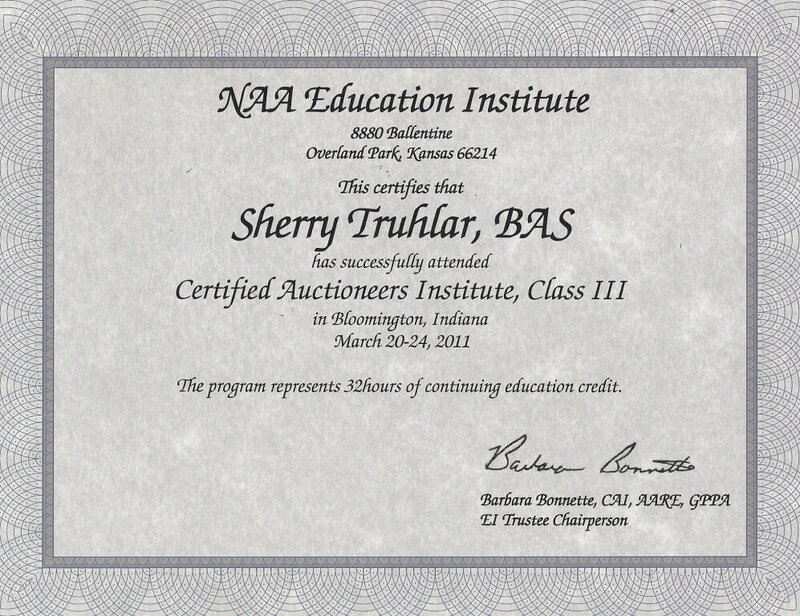 We started three years ago with a few over 60 auctioneers and I think my final class had 40-something auctioneers. I was the only benefit auctioneer Virginia, but met many others from around the USA. It was fun meeting so many auctioneers from around the country (and they have many different specialties)! With CAI behind me, I look forward to putting my knowledge to work for clients.